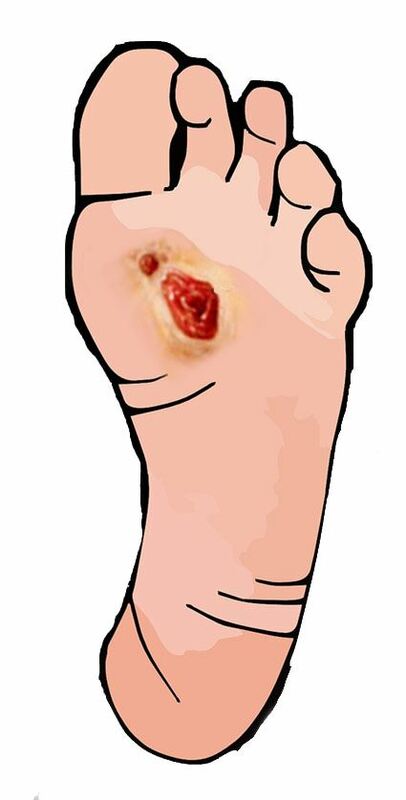 In the presence of PVD, the diabetic foot is highly compromised.The severity of PVD increases the risk of non-healing ulcers and amputations. A foot ulcer is an open sore on the foot. Ulcers can be shallow, red craters that involve only the surface skin. They can also can be very deep. 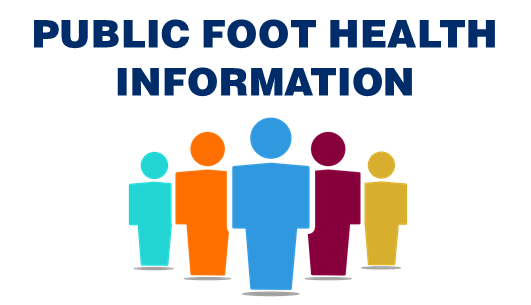 A deep foot ulcer may be a crater that extends through the full thickness of the skin. It may involve tendons, bones and other deep structures. Diabetes is a chronic condition in which the body can’t produce enough insulin or can’t use insulin properly. Insulin is a hormone that converts the food we eat into glucose or sugar. Over time, high levels of glucose can damage the blood vessels making it harder for blood to flow through the body, causing high risk to develop Peripheral Vascular Disease (PVD). The low blood flow causes damage in the tissues, especially in the tissues in the feet, leading to possible amputations. 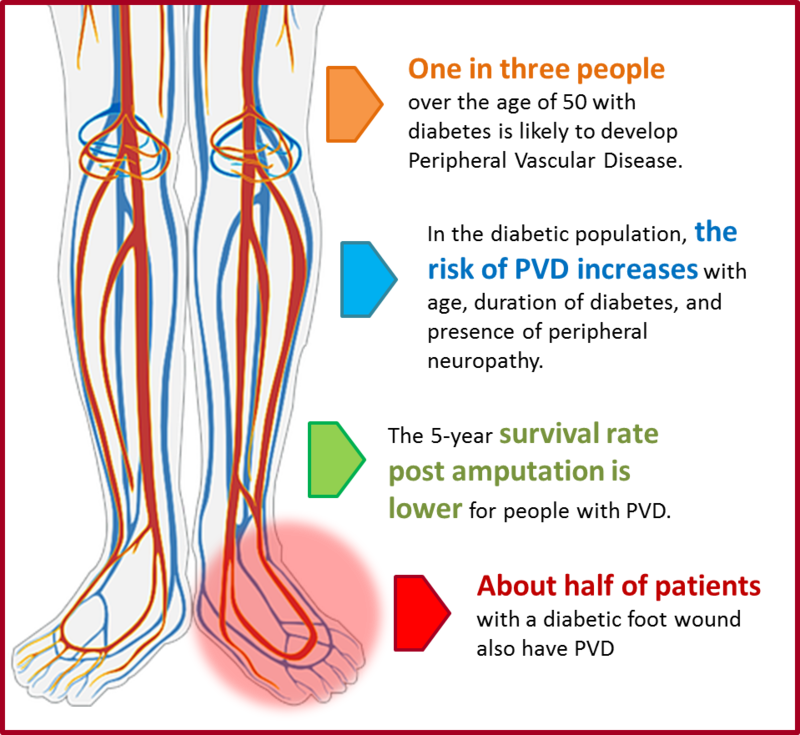 People with diabetes and PVD are in an even higher risk of a lower-limb amputation. 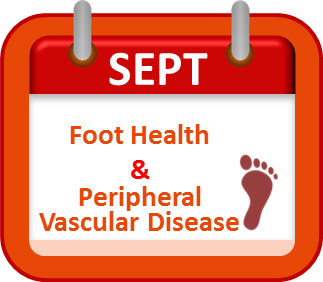 Visiting a Podiatrist to treat and prevent foot conditions related to PVD and diabetes.